Last year, Mumbai witnessed a large number of disasters where 11,524 people were injured and 226 people died. This year till date, around 6,730 disasters have claimed 96 lives, the BMC has revealed. 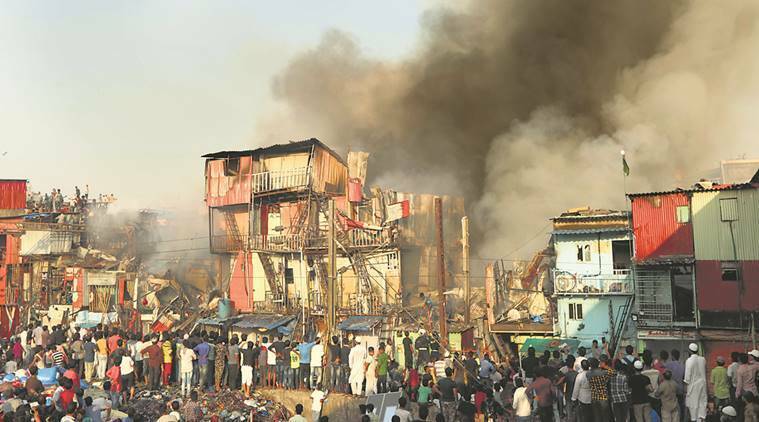 In Mumbai, 987 people died in 49,179 disasters between 2013 and 2018, the Brihanmumbai Municipal Corporation has revealed under the Right to Information Act. Shakeel Ahmed, RTI activist and founder of NGO Adhikar Foundation, had filed the Right to Information (RTI) application. Last year, the city witnessed a large number of disasters where 11,524 people were injured and 226 people died, which included 105 men and 121 women. This year till date, around 6,730 disasters have claimed 96 lives, including 75 men and 21 women, the BMC has revealed. According to the response of the Disaster Management Unit of BMC, between 2013 and July 2018 among other mishaps, there were 21,452 incidents related to falling trees or branches that killed 30 people and left around 256 injured. There were 2,704 incidents of building or wall and slab collapses, in which 234 died and 840 people sustained injuries. As many as 20,074 instances of short circuits and fires were reported in which 208 people were killed and 1,077 injured. Seventy-one landslides were also reported in which seven people died and 71 were left injured. In 1,291 gas leak incidents, seven died and 71 were injured. Besides, 1,119 incidents of oil spillage were reported that killed 22 people. “The RTI data shows laxity on part of the civic officials. The way disaster management unit and Mumbai Fire Brigade carry out rescue operations is admirable, but why spring into action only when a mishap happens. The government should take preventive steps so that such accidents don’t occur. Acting in advance would help save many lives,” said Ahmed. The activist has also written a letter to Municipal Commissioner Ajoy Mehta and Chief Fire Officer Prabhat Rahangdale, urging them to “take appropriate steps to prevent such disasters”.